Jesse Rau, a Calgary Transit driver who says his beliefs prevent him from getting behind the wheel of the city's Pride Bus, is running in the federal election for the Christian Heritage Party. 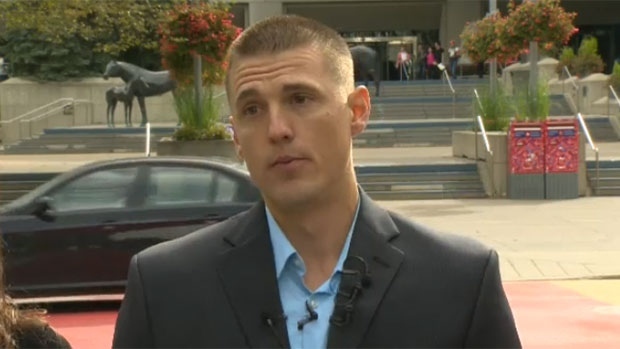 CALGARY - A former Calgary transit driver who was fired amid a controversy over Calgary's Pride bus has announced he's running in the federal election as a candidate for the Christian Heritage Party. The announcement was made in a news release issued by Artur Pawlowski, a spokesman for Calgary's Street Church, an outspoken and politically active group that has condemned gay people on its website as minions of Satan. Pawlowski says Rau will be running "to represent all those in all sectors of society who are bullied by political correctness to do things which violate their consciences and their commitment to Christian Biblical values." Rau had threatened to quit his job if he was assigned to drive a bus wrapped in a rainbow flag to mark Calgary's Pride parade. City officials said Rau - who was still on probation - was let go for breaching the city's code of conduct and media relations policy. "A healthy country cannot have its citizens silenced on important issues for fear of losing their jobs or worse," Rau said in the news release. "We need men of character who are willing to truly sacrifice in their efforts to rescue this country."